Thea Wilson, who is now receiving treatment, has a form of the blood cancer that affects just 100 people per year. Mostly a bruise is nothing to worry about. If you bump your head or chin somewhere, you will end up facing a severe bruise. But sometimes there might be a hidden message that the bruises are trying to tell you. What if one fine morning you wake up with a lot of bruises, and you know nothing about them? This happened in real, and we have an example. A lady was having fun on the dance floor and was in full senses the entire night. She saw bruises all over her body the following morning. Read on for more details! A woman was diagnosed with a rare form of leukaemia after waking up from a night out covered in mysterious bruises. 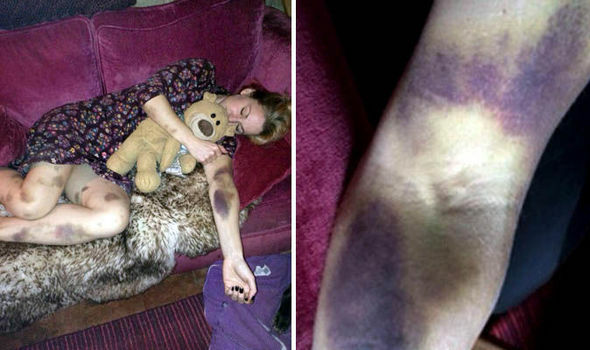 After a night on the tiles, Thea Wilson’s arms and legs were covered with nasty, purple bruises, but she had no idea where they had come from. Having stayed sober the whole evening, the 37-year-old knew she had not fallen down the stairs and that the gnarly marks could only have come from slight bumps on the dancefloor. 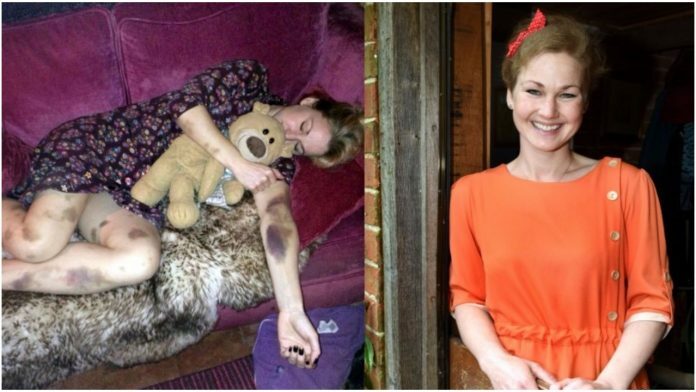 After the bruising failed to subside, Thea, from Burwarton, Shrops, was told by doctors she had a platelet disorder. But after a bone marrow biopsy, her whole world came falling down when she was diagnosed with Acute Promyelocytic Leukaemia (APML) – a very rare form of the blood cancer that affects only 100 people per year.